soundcard. Each data input stream to the fourier synthesis daemon is refered to as a "channel", because this is the name given to each input to an analog DJ Mixer. Clients - responsible for creating input to the system, and writing the data to a dbfsd channel. Example generators are xmms, mpg123, and sox. 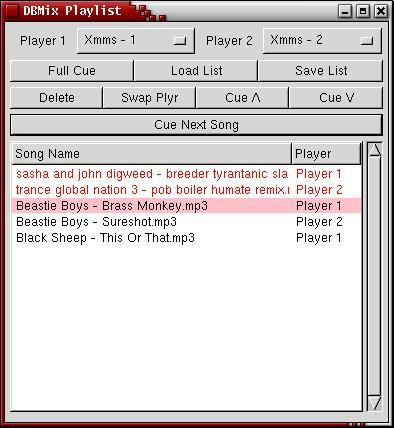 DBAudiolib - this is the client interface API to dbmix. It provides transparent format conversion and pitch/speed control. Cueing support using a single soundcard. A single DJ Mixer style GUI interface for controlling DBMix channels. IPC layer to allow the mixer to control the play/pause/stop/etc of dbmix client programs. Posted by smil on Tue, 07/11/2006 - 17:24.